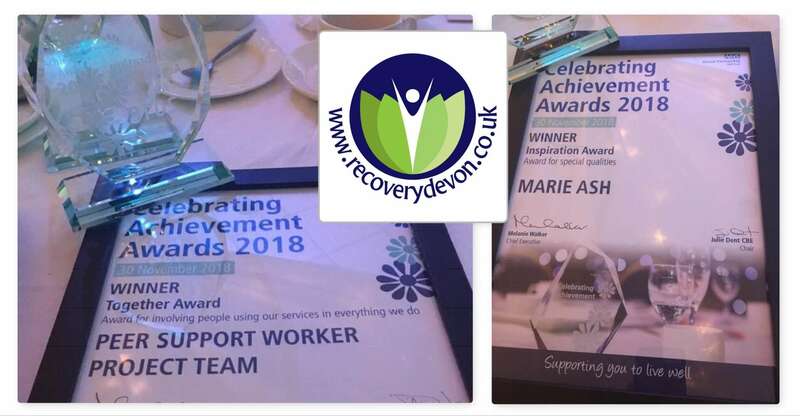 We were delighted to attend Devon Partnership Trust’s “Celebrating Achievement” awards, with nods to work in partnership with Recovery Devon on the night. The annual event showcases the many reasons to be #ProudofDPT. Nominations had been invited for members of DPT staff, partner organisations, and people using services. The “Together Award” recognises excellence in involving people in using services – putting the voice of lived experience at the heart of service design. Marie Ash was singled out for praise with the “Inspiration Award” for special qualities – and we couldn’t agree more! Congratulations to all nominees and award winners.